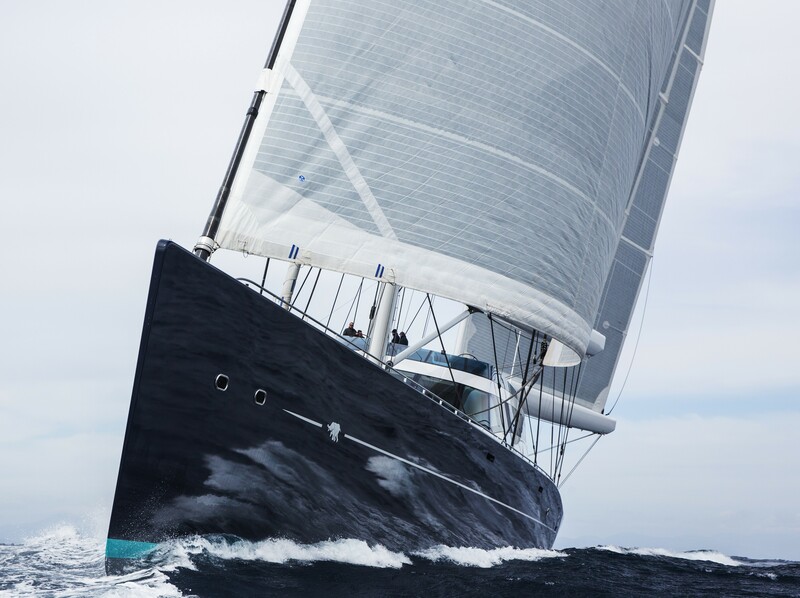 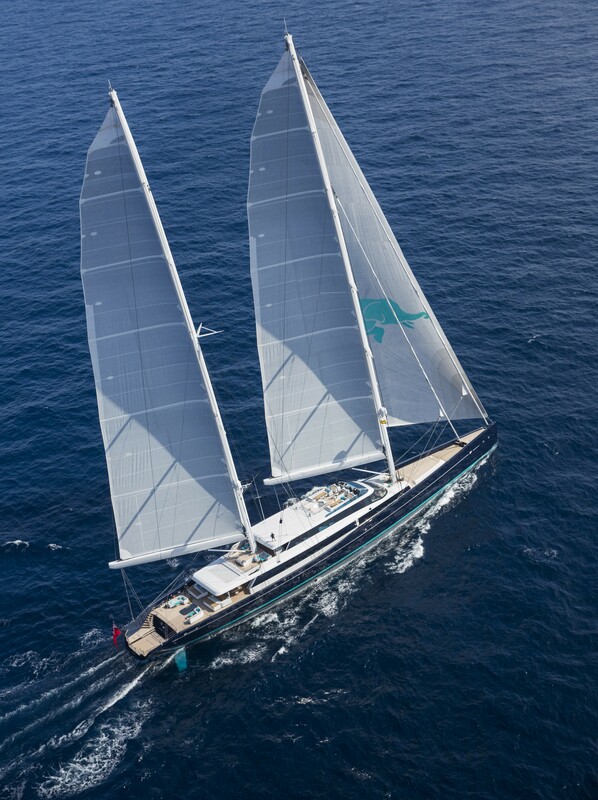 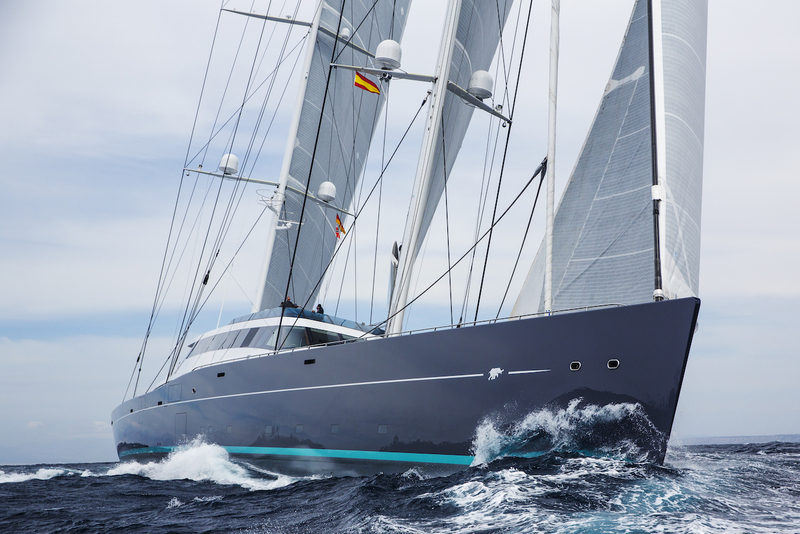 This 86m/282ft sailing yacht was built by Oceanco and Vitters in 2016 with naval architecture by Tripp Design and interiors from Dolker & Voges. 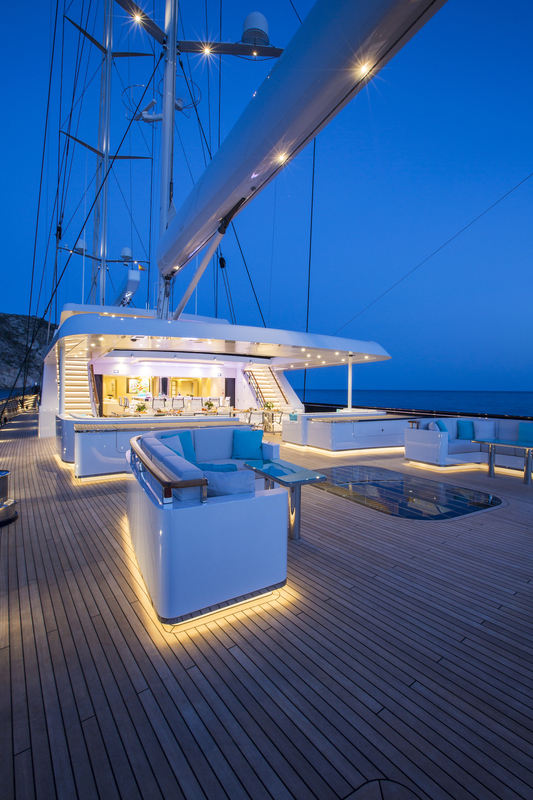 A beam of nearly 15m/48ft creates spacious entertaining areas and generous accommodation that sleeps 12 guests over seven cabins. 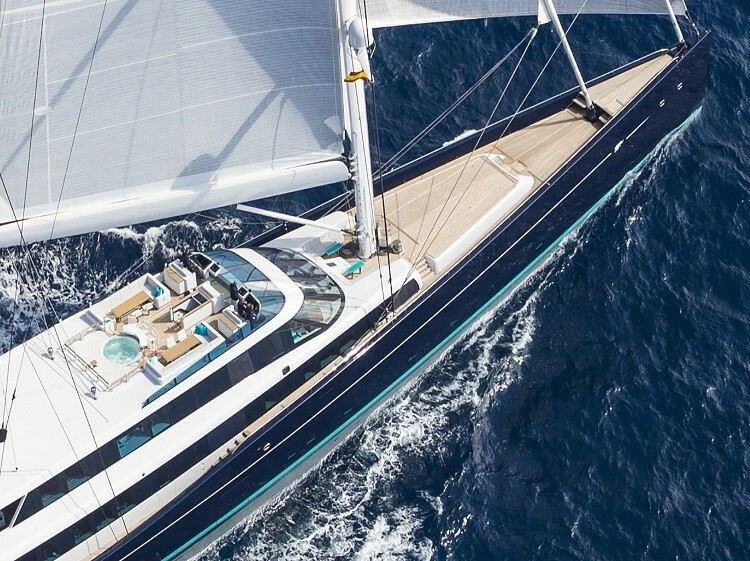 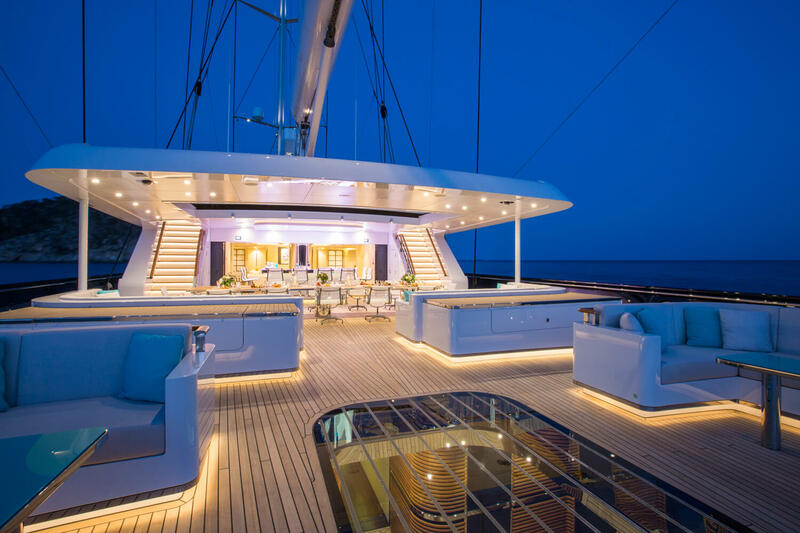 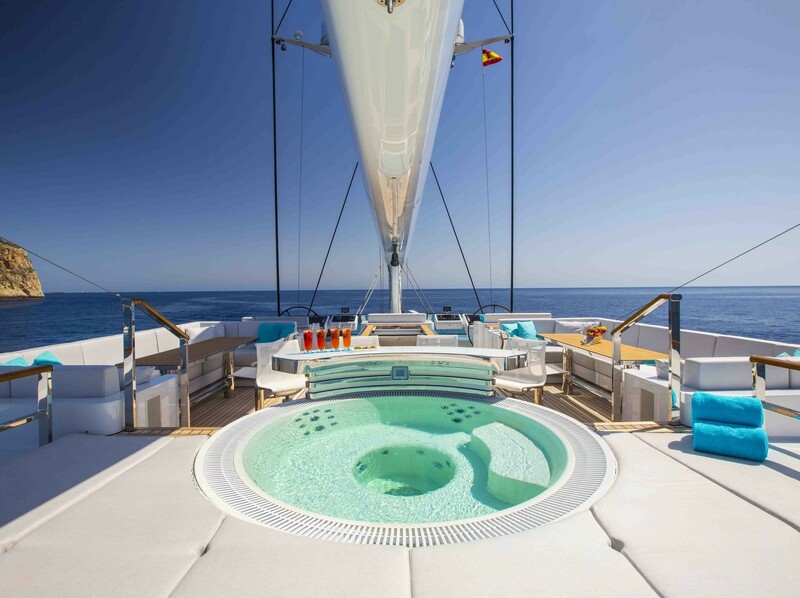 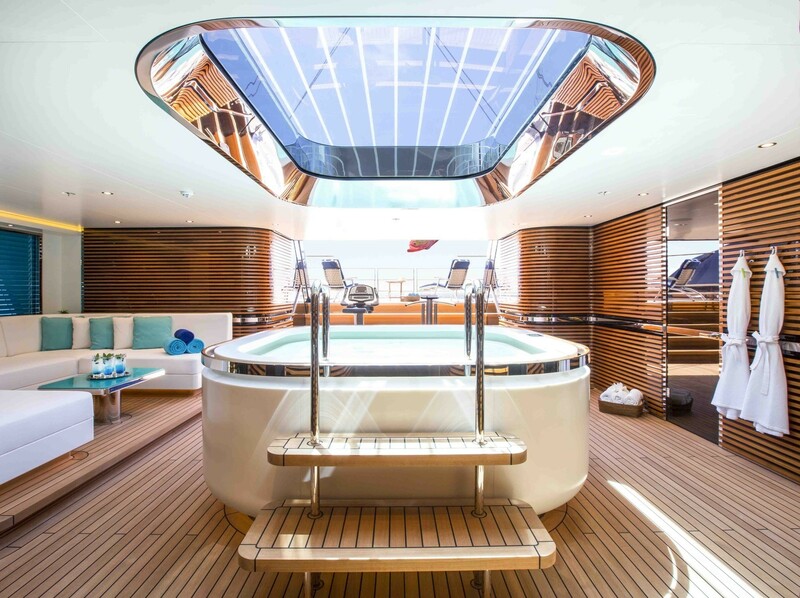 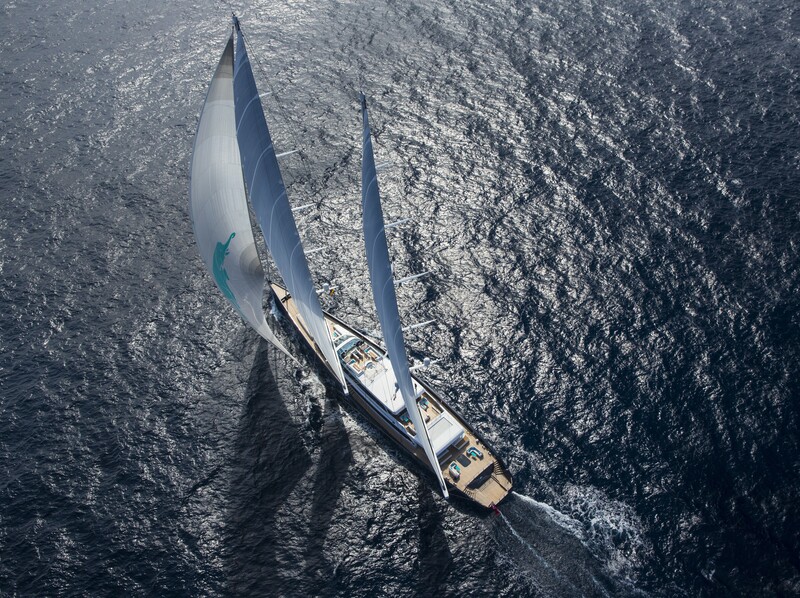 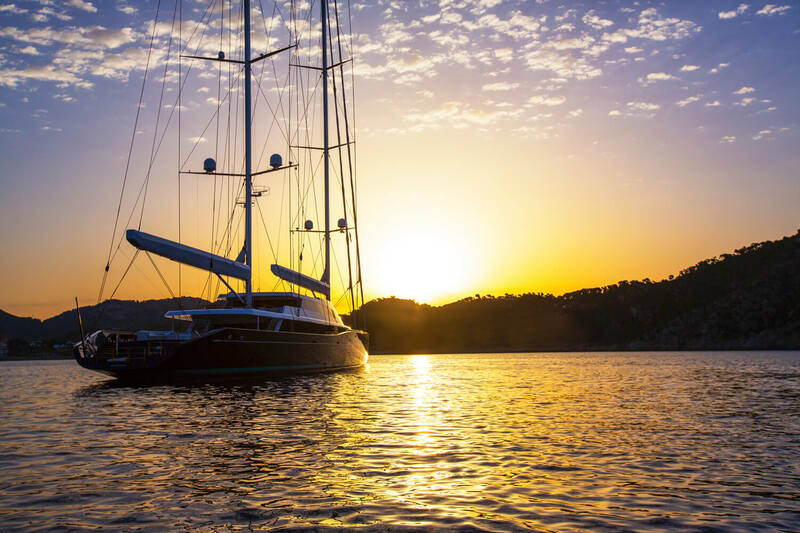 The Oceanco/Vitters S/Y offers exhilarating charter experience combined with unprecedented comfort and luxury onboard. 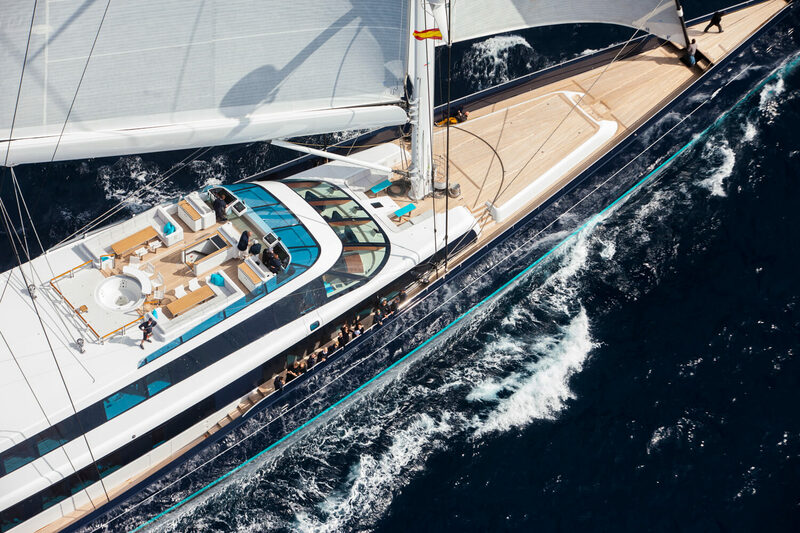 At the Showboats Design Awards 2017, the 86-metre won Best Naval Architecture – Sailing Yacht and was a finalist for Most Innovative Sailing Yacht, Best Exterior Design & Styling – Sailing Yacht and Best Interior Layout & Design – Sailing Yacht awards. 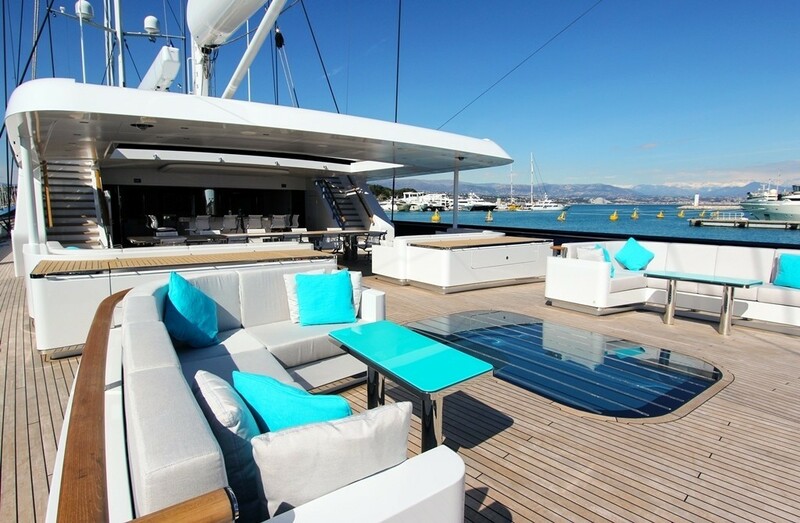 On the main deck, the aft is fitted with plush sofa seating angled to take in the views while conversing in the sunshine. 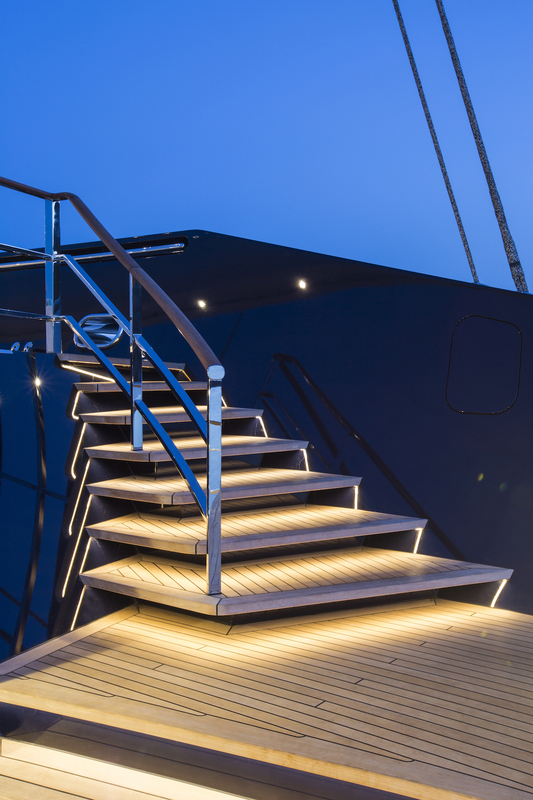 Stairs lead down to a generous swim platform where guests can spend time sunbathing close to the ambient sounds of the sea. 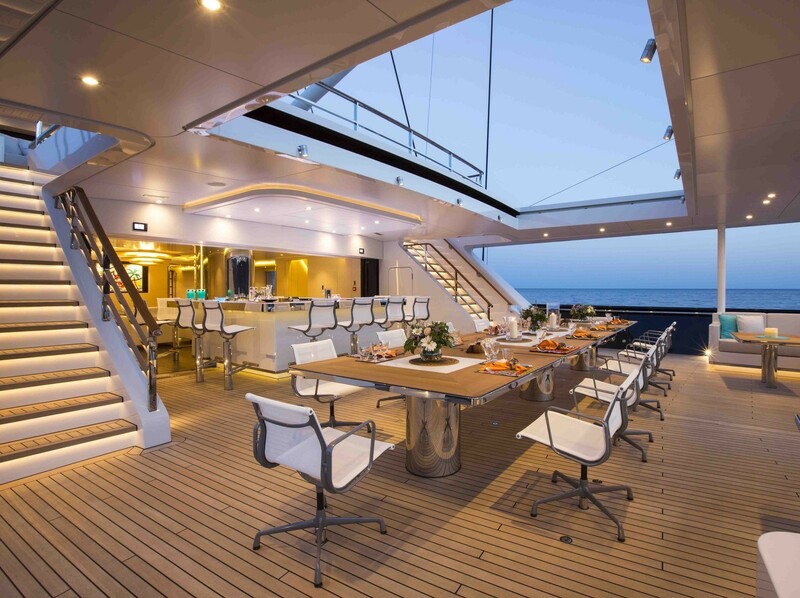 The alfresco dining table will seat 20 guests to a lavish meal and the roof can be rolled back for a meal in the sunshine. 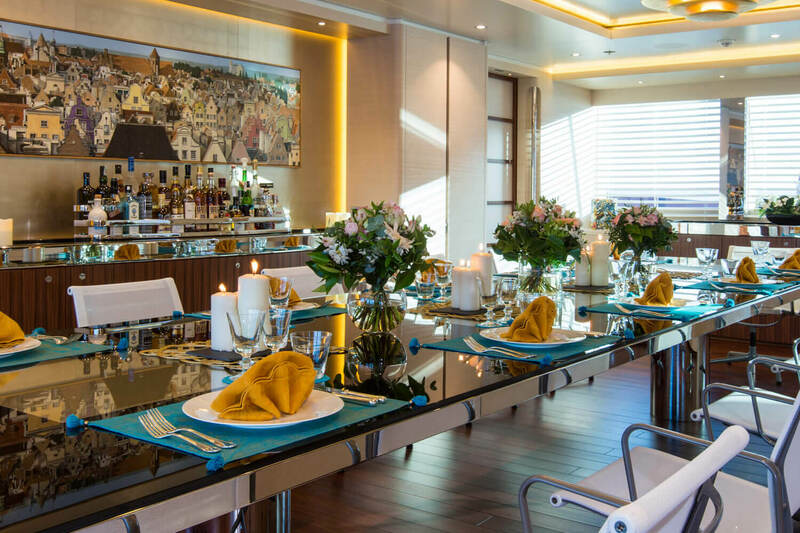 The impressive L-shaped bar is located close to the entrance to the salon and has an excellent variety to suit the occasion and the cuisine. 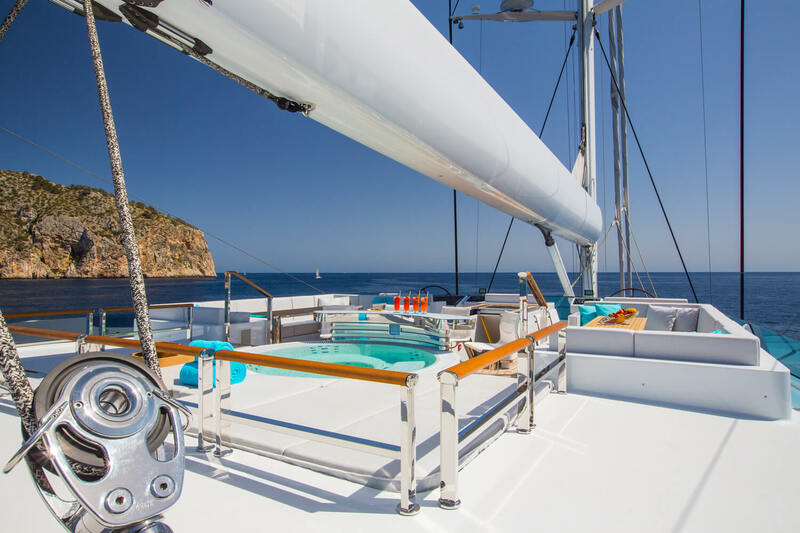 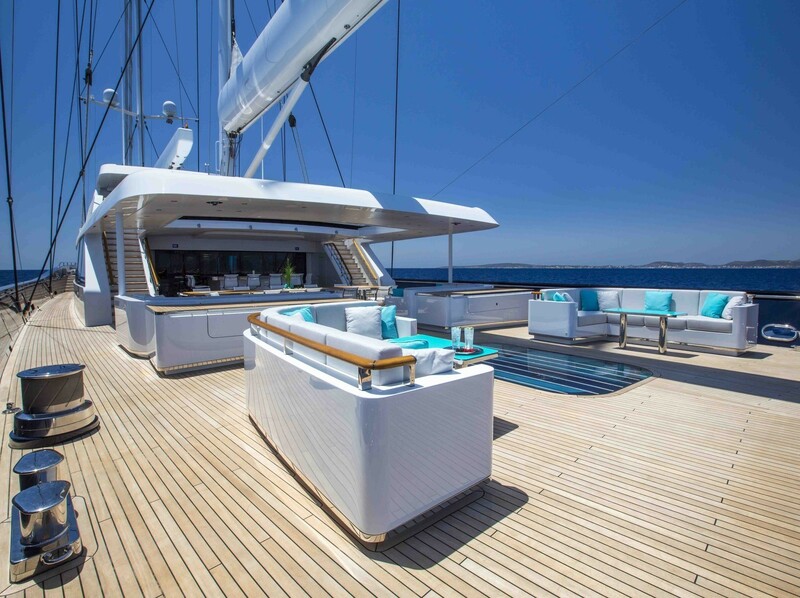 The foredeck offers an additional lounging and sunbathing space that can also be used for exercise. 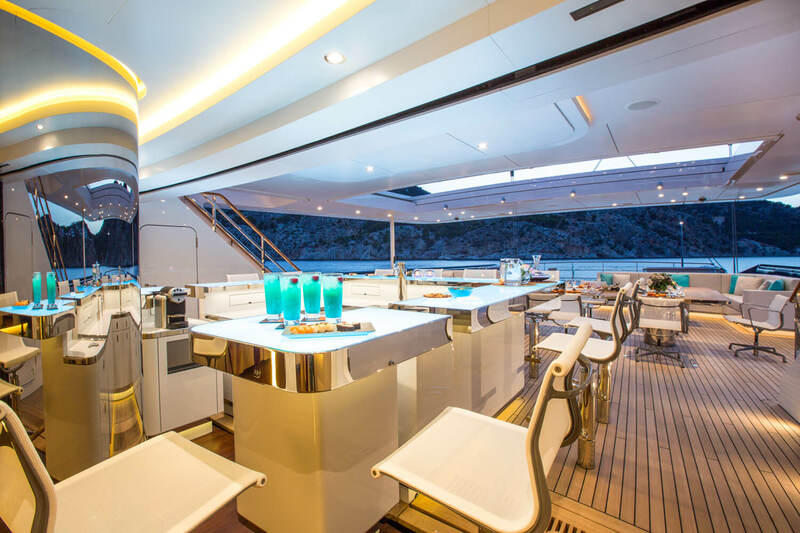 On the flybridge, there are two tables opposite one another along the port and starboard sides where guests can sit for an alfresco meal. 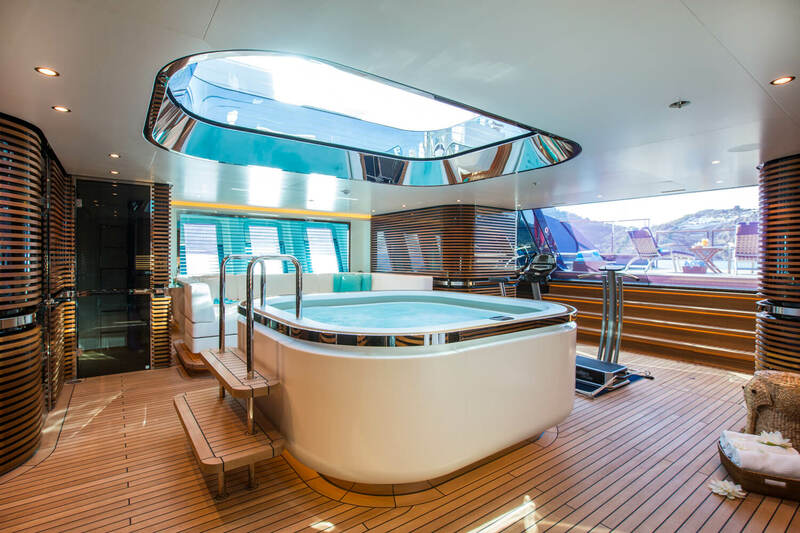 The bar will keep guests refreshed throughout their meal and while taking a dip in the refreshing Jacuzzi before dying off on the soft sunpads. 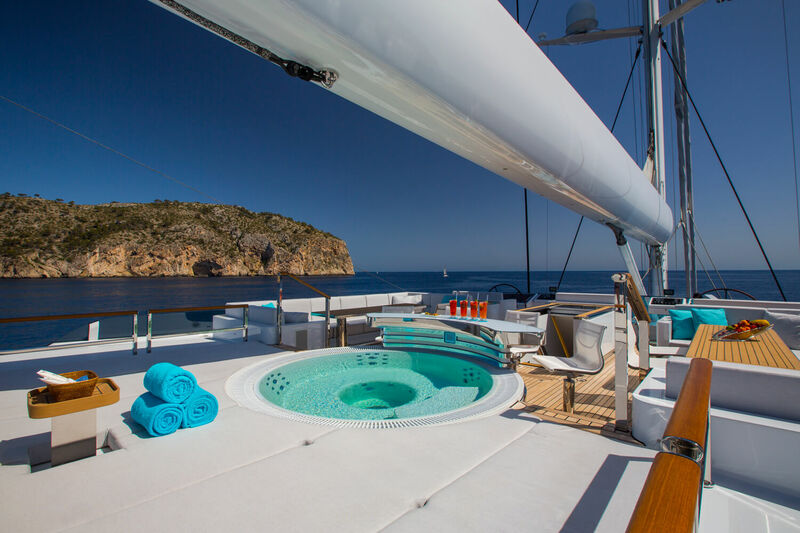 Unique this sailing yacht is the generous beach club designed as a spa with a skylight over the hot tub as well as a sauna and steam room. 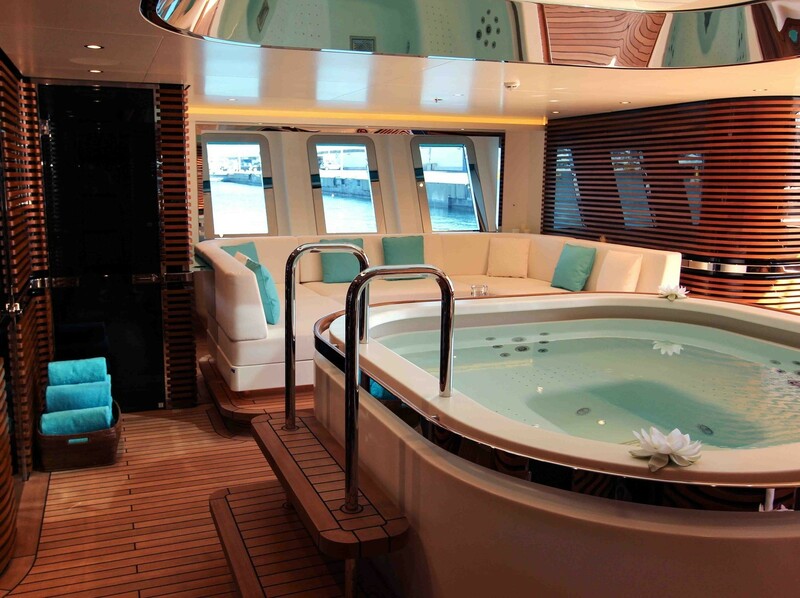 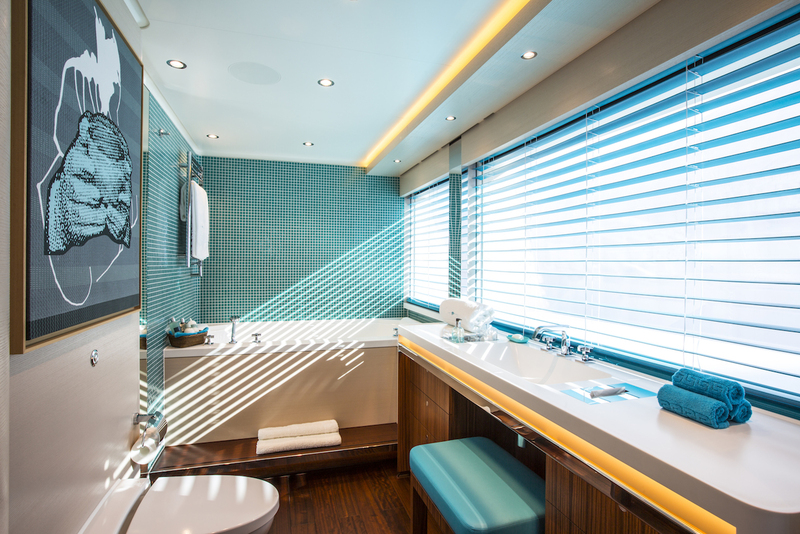 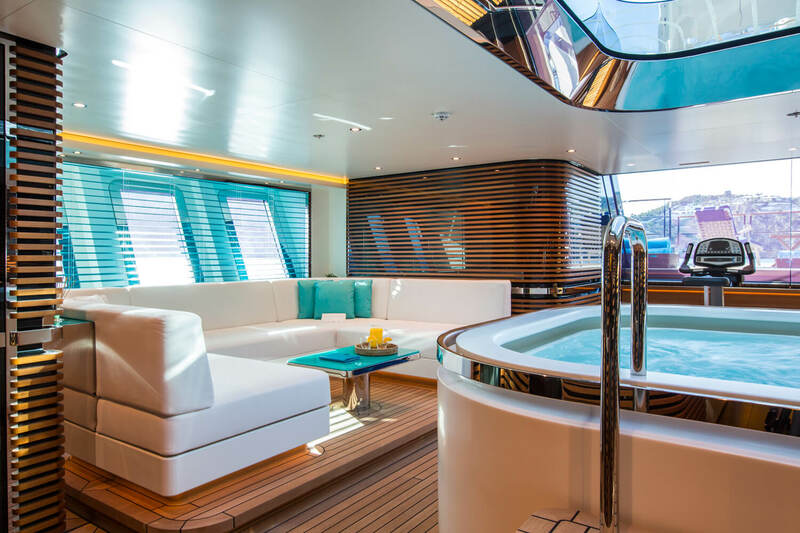 The aft transom door opens up for charter guests to marvel at the view while they soak, and the additional space can be used for sun loungers or for easy access in and out of the water. 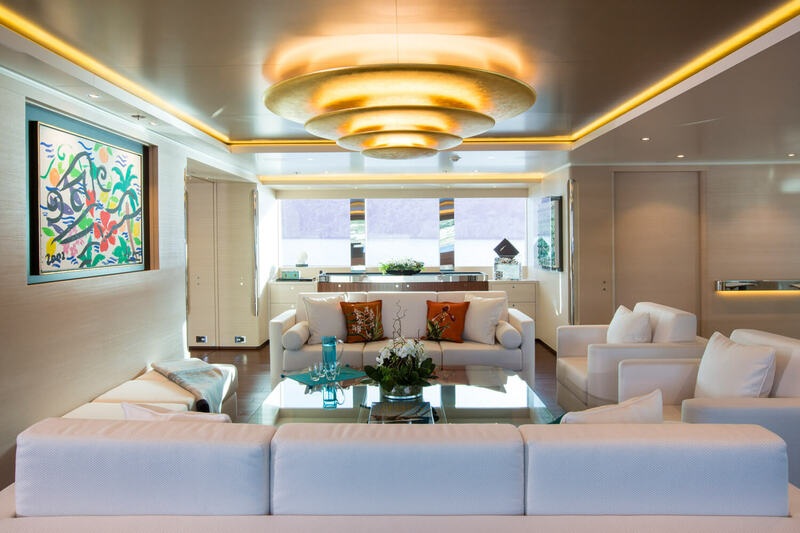 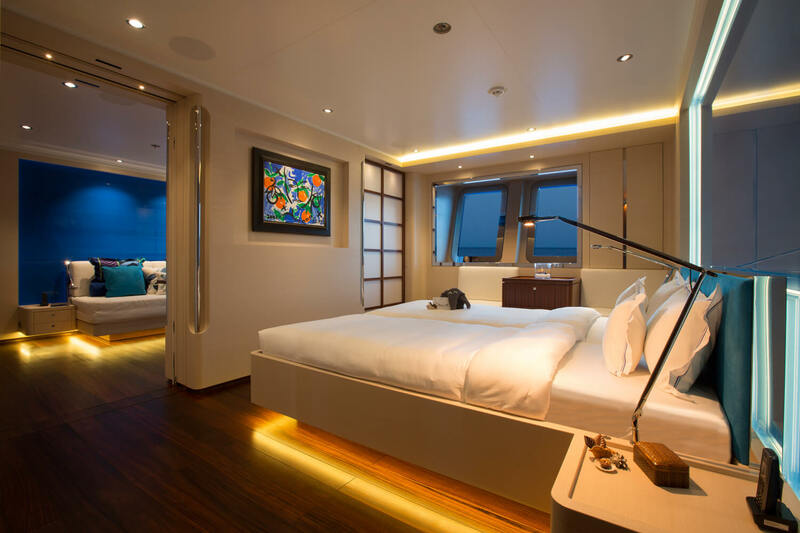 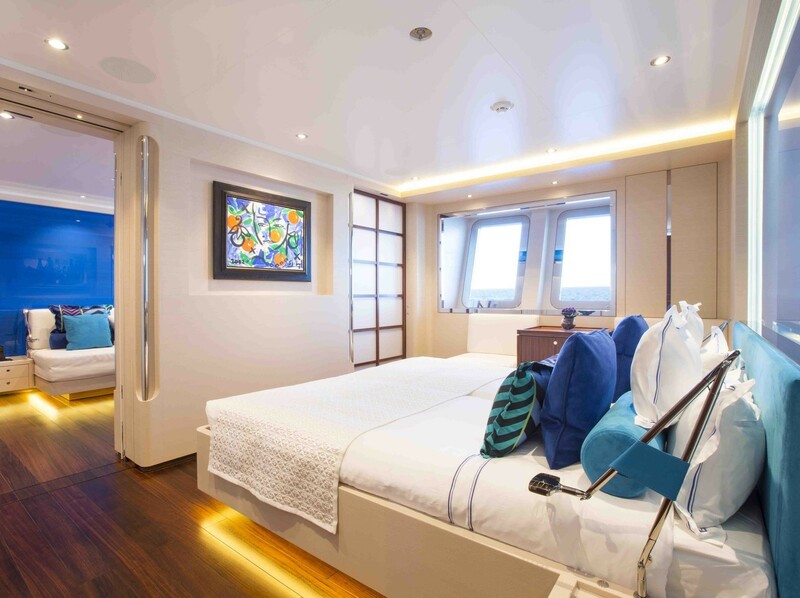 On the main deck, the bright interior uses natural teak wood against brilliant white walls for a contemporary living space and colour accents are subtly added in the artwork, accessories and the warm yellow of the lighting. 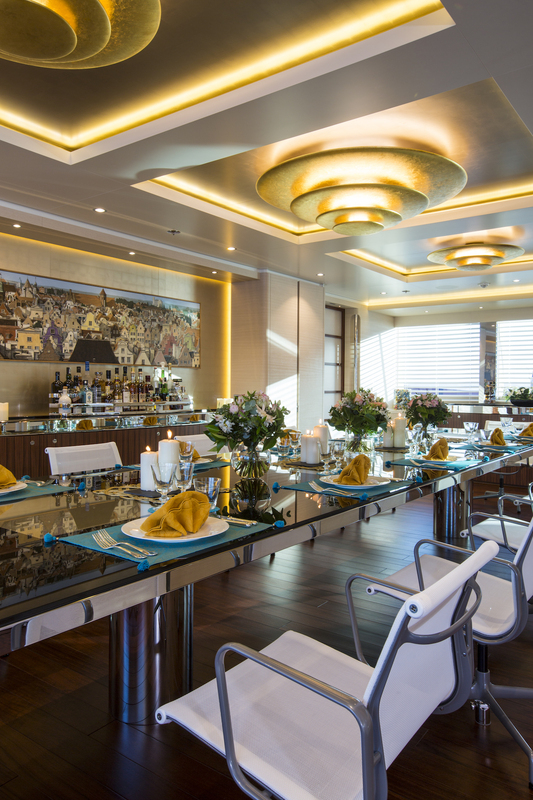 The forward formal dining table is also able to seat 20 guests for a stately meal complemented by an excellent selection of spirits. 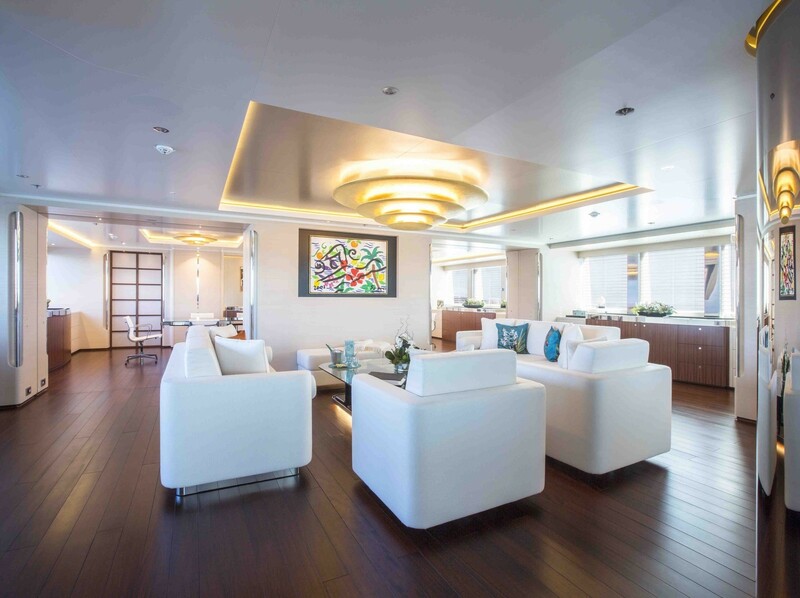 Behind, the salon creates a close conversation area where up to 10 guests can lounge on the plush white sofas and armchairs over drinks. 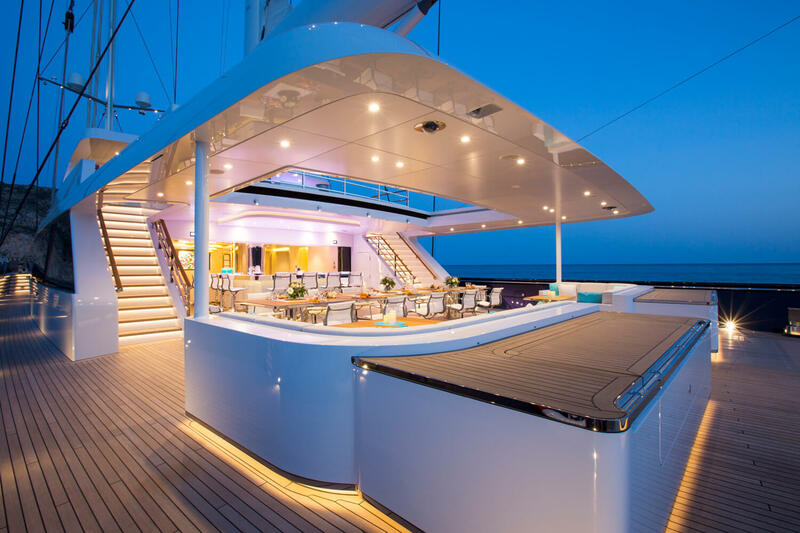 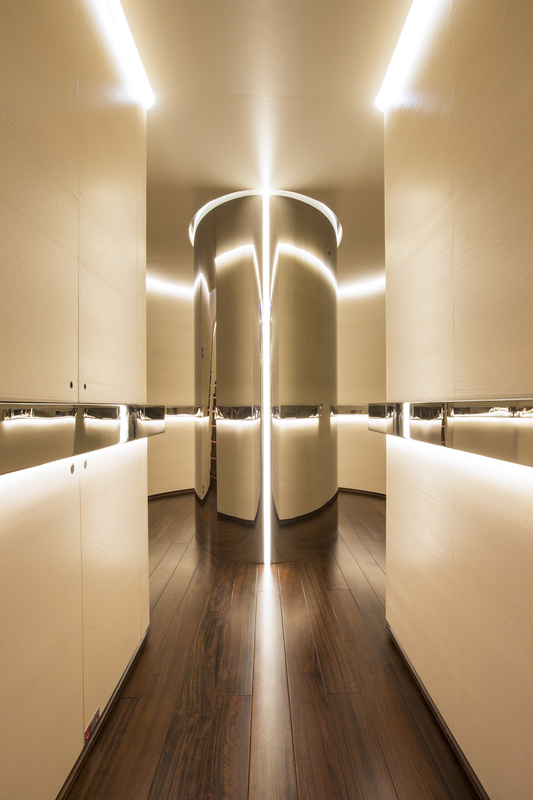 Sliding doors open onto the main deck aft to let fresh air flow into the interior. 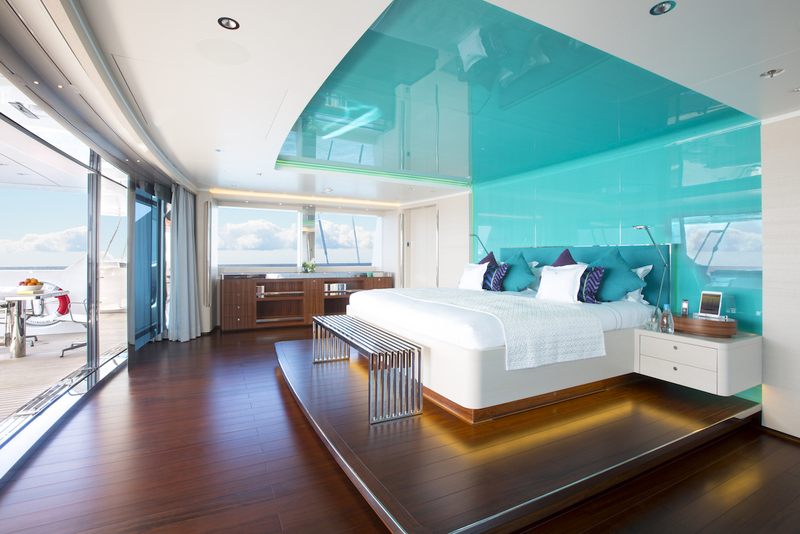 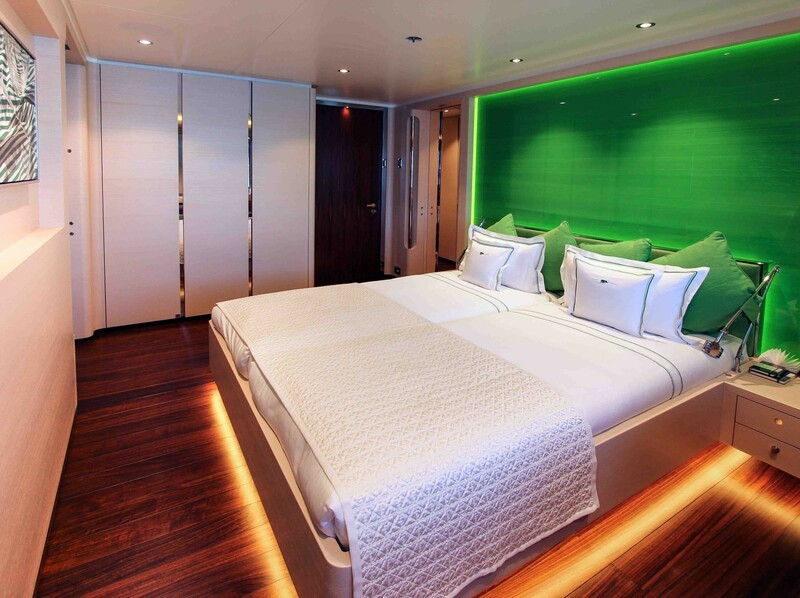 Above, the Master suite is located on the bridge deck aft for excellent views and privacy. 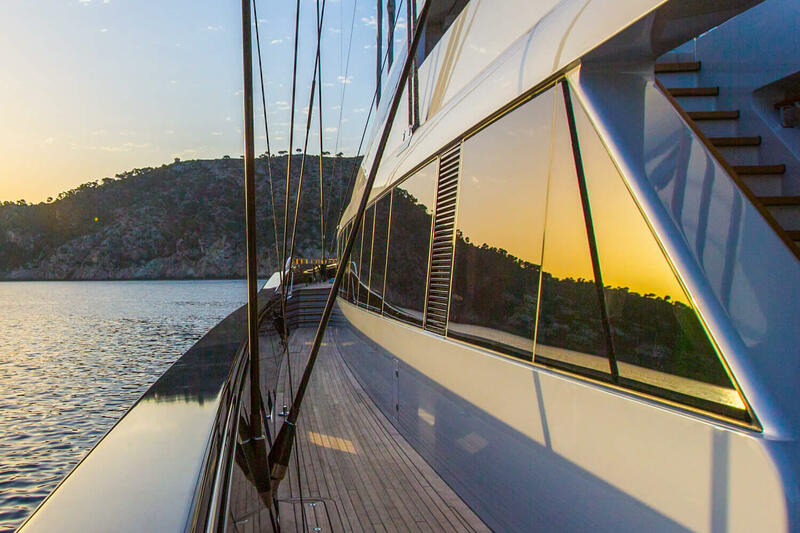 2 x Caterpillar 18 engines produce a top speed of 17.5 knots and a cruising speed of 15 knots, with a range of 3,200 nautical miles. 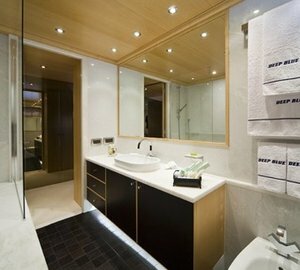 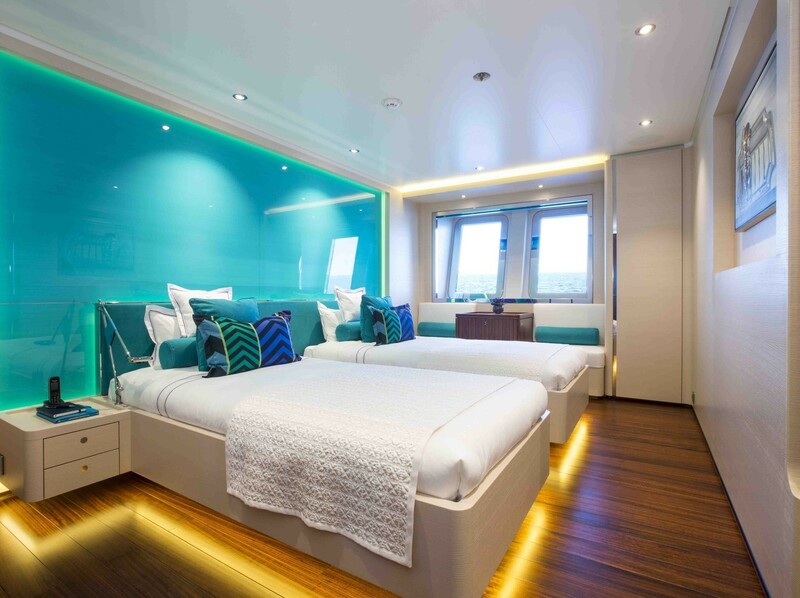 The accommodation sleeps 12 guests over 7 cabins: 1 Master suite, 3 VIP staterooms, 1 double cabin, 1 twin cabin and 1 double cabin convertible to a twin. 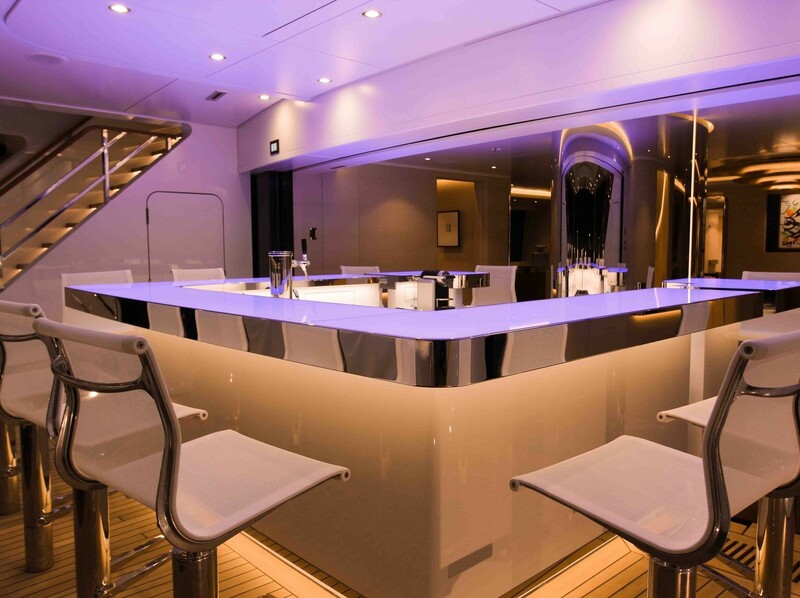 The crew of 17 will ensure that everyone on board is well taken care of throughout the journey. 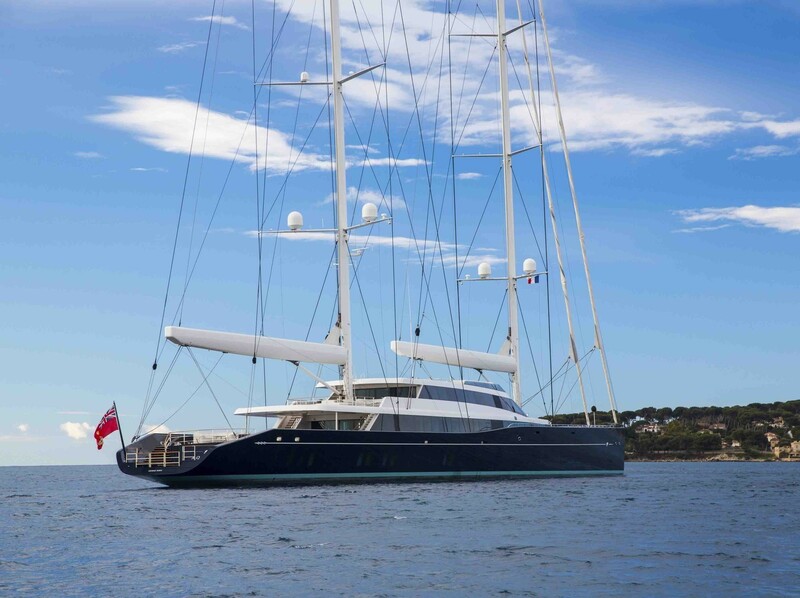 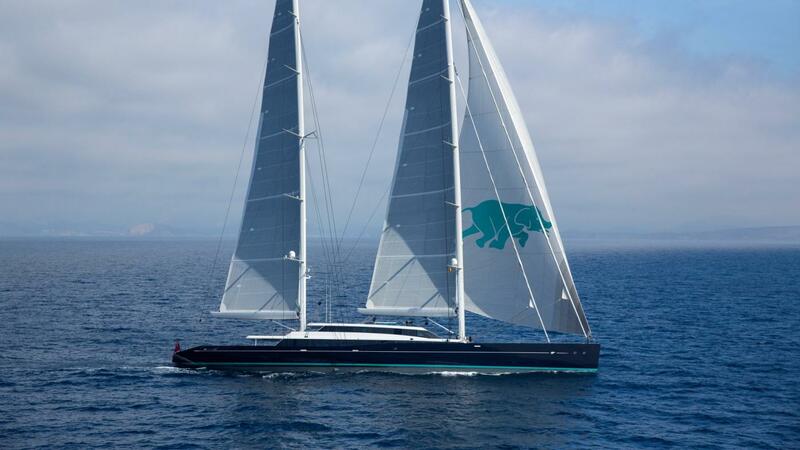 We do have available further amenity, owner and price information for the 86.00m (282' 2") yacht 86M SAILING YACHT, so please enquire for more information.